The Street Art Competition, aimed at purging the city of wall-chalking and restoring it to its original splendour, concluded on Sunday. The event, a brainchild of the Message Welfare Trust (MWT), was participated in by 1,000 students from various institutes. Wall-chalking is prohibited by the Punjab Prohibition of Expressing Matters on Walls Act 1995. 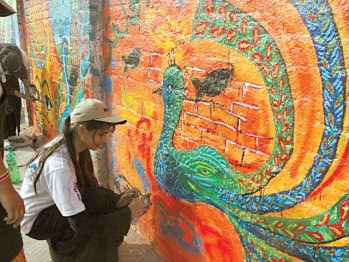 The basic aim of the competition was to remove wall-chalking that is a blot on the face of the city and render the so-called talking walls to talk about the beauty, culture, traditions, art and attributes of the country, with a view to depicting a positive image of Pakistan all over the world. 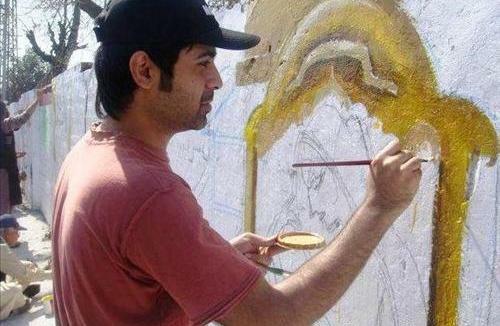 Dilating upon the background of the event, MWT official Rizwan told Pakistan Today that the competition was first held in March 2010 under the theme “Pakistan Our Home.” The competition, popularly known as Street Art Competition (SAC), is the first of its kind in the history of Pakistan. It all started off as an idea to do something out-of the-box against the nefarious practice of wall-chalking,” he added. Students painted the walls in Gulberg, Faisal Town, Dharampura, Garhi Shahu, and Garden Town in four phases. 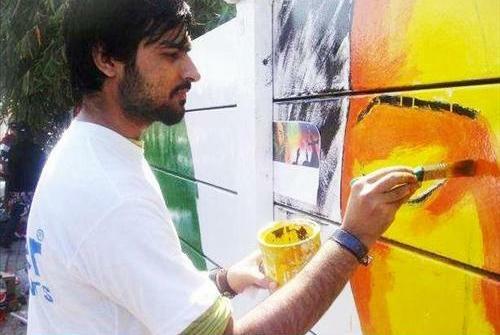 Around 250 walls were painted in order to raise awareness among the masses about the issue of wall chocking. The winner of the competition will get Rs 25,000 prize, while second and third winners will get Rs 15,000 and Rs 10,000 each. Appreciating the MWT’s effort, citizens said it would not only help to restore the city’s beauty but also stop the practice of writing on the walls once and for all. Surprised at the quality of work by the street artists, people said they were as good as a Picasso. Colourful walls are now given an amazing look to the city with paintings of historical places and words such as ‘love’ and ‘peace’. Citizens, who pass by, pull up their vehicles and watch the paintings in admiration.